This Tutti Frutti is a mouth-wateringly fruity e-liquid that is bursting with flavour. This Tutti Frutti E Liquid has quickly become one of our best selling e liquids. 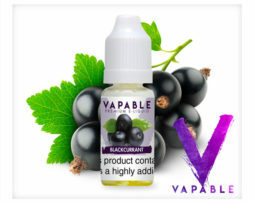 It is a mouth-wateringly fruity e-liquid that is bursting with flavour. We think it tastes a lot like the fruit salad penny sweets that you used to get from the sweetshop as a kid, so if you liked those, you’re bound to love this! Well this one was not for me as personally I did not find it that sweet but you go ahead and try. Anyone else think it tastes exactly like "Juicy Fruit" gum ??? I ordered a couple of 10ml bottles of the Tutti Fruitti e liquid and can only describe it as delicious. It really does remind me of the Fruit Salad sweets that I ate when I was a youngster! So good I have just ordered a 100ml bottle! 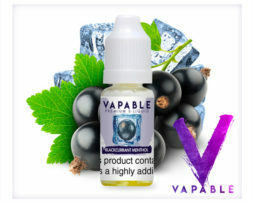 Definitely recommend this e liquid to people who like the fruity liquid taste. Anyone else think it tastes exactly like “Juicy Fruit” gum ??? 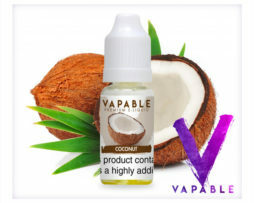 The first e liquid i ever tried was a tutti frutti flavor, however i never took note of the vendor, since then i have been looking for a tutti frutti that was able to replicate that taste and in truth i never did find one. This, tutti frutti however, was damn well good enough to completely replace my desire for the first. The first few draws that i took gave me a sickly chemical taste, thought i assume this was simply my coil because a few minutes in i could not stop vaping this lovely juice, it has the perfect amount of sweetness, flavor and throat hit for me and is now my all day vape, i am actually here now to buy some more XD would definitely recommend. This is on my favourite list, really nice with lemonade mixed in, great flavour. amazing!!!!!!!!! Great taste easily 1 of the best flavours I’ve had. Incredible that someone has managed to find a Tutti Frutti flavour that lasts more that 5 seconds! Brilliant! Perfect fruity taste for the sunny weather. Delicious. Sweet and tasty. Boom, 100% perfection. I’m not sure I need to add anything more.